Super-charged learning through 'The Invisible Curriculum'. 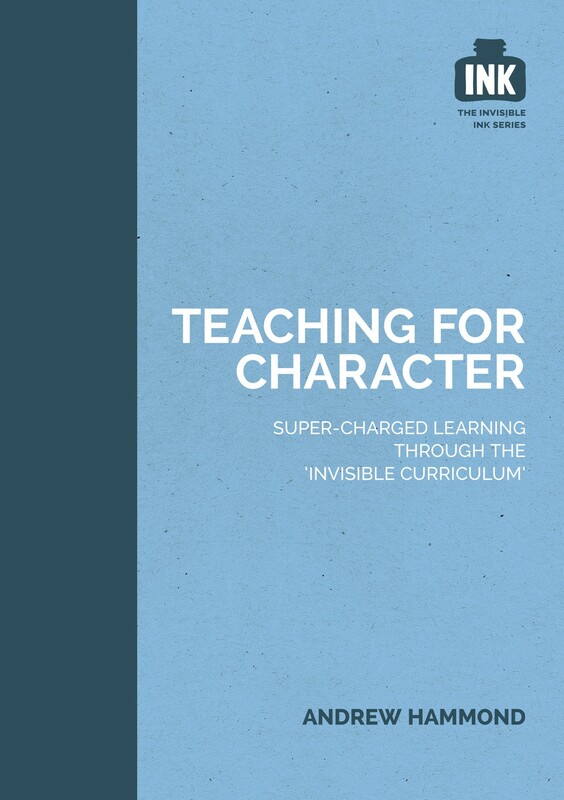 The first book in the Invisible INK series, Teaching for Character offers practical advice to help encourage grit and determination in children – important foundations in any future success in or out of school. Is it possible to teach for character and raise academic standards? This book – the first in the seven-part Invisible INK series – argues that character education is an essential tool for creating a positive learning environment and getting the best out of your students. It offers practical advice to help encourage grit, adaptability, optimism, self-control, empathy, discernment and trust in young learners – important foundations in any future success in and out of school. While doing so, it references the Government's Teachers' Standards report, and shows how teachers can meet the requirements the expected of them. With insights from the author’s career as teacher and trainer, the Invisible INK series aims to shed light on this ‘Invisible Curriculum’ and the secret ingredients that really unlock a child’s potential. "This book ought to be mandatory reading for all who want to nurture the thinking and learning of children and young people. Andrew, thank you for writing this book – it is beyond being timely." Max Coates, Senior Lecturer in Education at University College London / Institute of Education. Andrew Hammond is an educational consultant, trainer, conference speaker, former headteacher and author of more than 30 educational titles for major publishers. I enjoyed this book immensely, so much so, that I read it a second time and underlined pertinent points.